Traps emerging Mosquitoes. 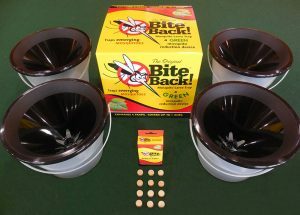 A Green mosquito reduction device. Scientifically proven to be 99% Effective in reducing mosquito populations. Safe to use around children and pets! Learn more about Bite Back!